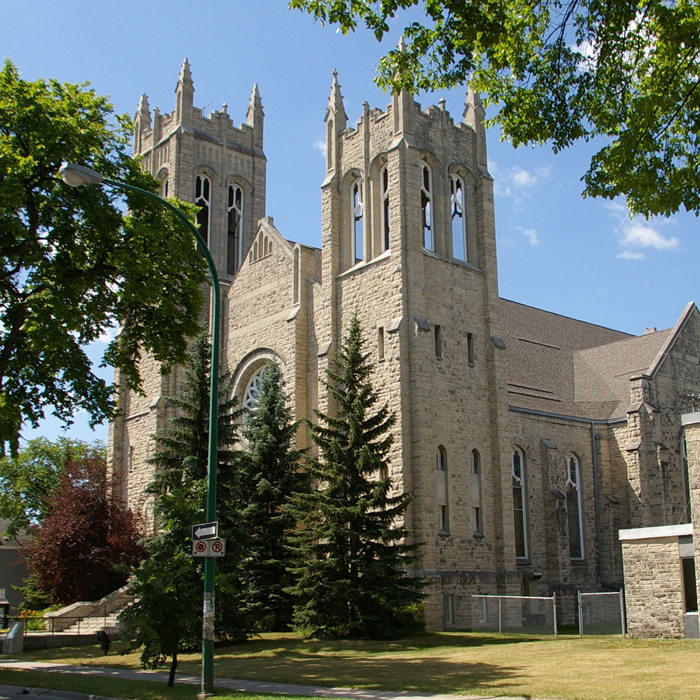 Every second Friday, the Bell Tower Community Café meets upstairs at Westminster United Church to celebrate goodness, kindness, and community. The Bell Tower is more than a food bank; it is a community café experience, with live music, nutritious food and great coffee and tea. Around 200 people from all walks of life–from West Broadway, Wolseley, and across Winnipeg–come through the doors and enjoy good food, good drinks, and good music together. Over 100 households get food hampers to help them through the week. The opportunity to make good things together provides the fuel, flavor and soul so needed within the neighbourhoods. As one witnesses the progression and expansion of Bell Tower, one can see community members of many different walks of life sharing in the opportunities of friendship. Isabelle Demers is Organ Professor and Head of the Organ Program at Baylor University in Texas. A native of Quebec, she is rapidly becoming recognized as one of North America’s most virtuosic organists. She received her Master’s and Doctoral degrees from The Juilliard School in New York City, where she studied with Paul Jacobs. Her dissertation – an analysis of Bach’s St. John Passion – was awarded the Richard French Prize for best dissertation at commencement. She has been a prize-winner and finalist in several international performance competitions and performs widely in the United States, Canada and Europe. Isabelle has performed previously on the Westminster Series in April 2013, and we welcome her return engagement. Westminster Housing was originally established by members of the Westminster congregation. It is now an independent entity with its own Board. Westminster Housing owns and operates 25 properties in the West Broadway area (East side of Maryland to Colony Street, Portage to The River.) The original project was a multi-storey cooperative on Maryland which is now ow run by the tenant/owners. Buildings presently owned by Westminster Housing include the row-housing on the east side of Maryland and renovated houses designed with two or three living units. Two Houses (total of 5 units) are set aside for people in care of New Directions. (newdirections.mb.ca) Three Houses (total of 12 units) are set aside for people in care of Winnipeg Regional Health Authority. Funding for Westminster Housing includes money from several levels of government plus private donations. Simon Johnson, Organist & Assistant Director of Music at St. Paul’s Cathedral, London, England, has a remarkable and multifaceted international career as a virtuoso organist, conductor and composer. He has been involved in all of the national occasions that have taken place at St Paul’s since his appointment in 2008, including the funeral service of Baroness Thatcher and the Diamond Jubilee of Her Majesty the Queen. Recitals have taken him all over Europe and the USA, as well as to many of the premier venues in the UK. He has performed with groups such as the London Symphony Orchestra, Royal Philharmonic Orchestra, and The Sixteen and worked with Wes Anderson on the Oscar, Bafta and Grammy award-winning soundtrack for The Grand Budapest Hotel. Canstar Community News did a lovely feature and video on our 125th Anniversary! The in-depth article is here, but first, enjoy the video above! Doors Open at Westminster Church. Couple who were married at Westminster Church to be invited to a reception at the church. Anniversary Dinner at Norwood Hotel. The Rev. Dr. John Pentland, author of “Fishing Tips: How Curiosity Transformed a Community of Faith” is coming to Westminster United Church as part of our Anniversary Celebrations! *Saturday Oct. 28, 2017 Congregational Workshop – facilitated by John Pentland; open to all interested members of Westminster Church. Former Winnipeg Police Chief Devon Clunis will be our guest speaker. Special music by choir and by string players from the Manitoba Chamber Orchestra (printed insert about MCO to be included in Calendar). Families with children baptized at Westminster Church in the last five years and couples married at Westminster during the same period are being invited to join us in celebrating the anniversary. Former choir members are invited to join the choir for this Sunday. Couples who have been married, and, families who have had children baptized at Westminster United Church are invited to join us for this special service.